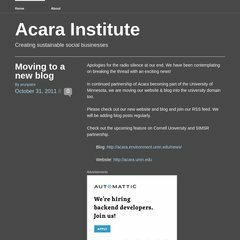 Topics: Acara Institute, By Arunpatre, and Follow. 54 users visit the site each day, each viewing 1 page. It is hosted by Layered Technologies Inc (Texas, Plano,) using nginx web server. Its local IP address is 72.233.69.6. A ping to the server is timed at 23.7 ms.